NEW YORK CITY - MAY 17: Christian Siriano attends the Red Carpet for the Premiere Event for FX’s “POSE" at Hammerstein Ballroom on May 17, 2018 in New York City. 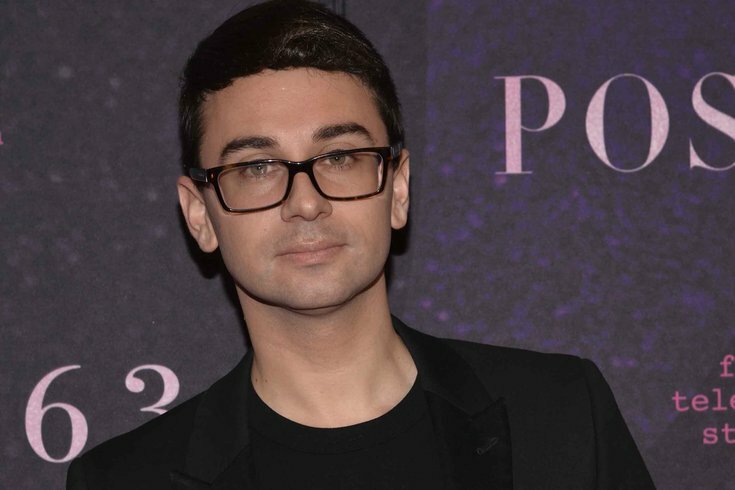 Google Christian Siriano and your search results will show the fashion designer has dressed everyone from Michelle Obama to Lady Gaga. He's a favorite among the stars because he's inclusive. When comedian Leslie Jones tweeted about designers not wanting to dress her for the red carpet, Siriano quickly reached out and created a bright red off-the-shoulder gown for her. While many designers won't book plus-size models for their shows, Siriano has always made a point to show a variety of sizes, genders and ethnicities on the runway. On Sunday, the designer – who recently made Time's "100 Most Influential People" list – will be in Philly for the 30th Pride Parade and Festival. He will host an after-party at SugarHouse Casino's Fishtown Hops, a waterfront beer garden, from 4 p.m. to 6 p.m.
Those 21-plus are invited to attend and watch as Siriano cuts the first slice of a multi-colored Pride cake.